A U.S. senator is pushing the Treasury Department to investigate the relationships between a pair of U.S.-based companies and major weapons and ammunition manufacturers in Russia, ABC News has learned. The issue has taken on new urgency, Wyden writes, in light of the recent arrest and indictment of Maria Butina, the alleged Russian covert agent who government prosecutors believe targeted the National Rifle Association to gain influence in American politics and advance Russian interests. Wyden notes that Butina’s mentor, Alexander Torshin, has ties to both companies’ apparent Russian state-owned counterparts, Kalashnikov Concern and Tula Cartridge Plant, through his position at the Central Bank of Russia. “In light of these allegations, the relationships between Mr. Torshin, other sanctioned Russian individuals and entities, and U.S.-based Russian-linked arms manufacturers merit further scrutiny, including an analysis of whether said companies are functionally managed, owned, or controlled by sanctioned persons,” Wyden wrote in a letter to Andrea M. Gacki, acting director of the Treasury’s Office of Foreign Assets Control. Senator Ron Wyden asks a question during a Senate Finance Committee hearing on Capitol Hill in Washington, March 22, 2018. According to Peter Harrell, a former senior State Department sanctions official who is now an adjunct senior fellow at the Center for a New American Security, the companies may not have technically violated the law, but their continued operation is nonetheless concerning. Following publication of this report, a Treasury spokesperson issued a brief statement to ABC News. Company officials did not immediately respond to messages left at listed numbers for both Kalashnikov USA and TulAmmo USA. Several prominent entities within Russia’s military-industrial complex were sanctioned by the United States in the wake of Russia’s invasion of Ukraine and subsequent annexation of Crimea. Russia’s state-owned defense conglomerate Rostec (which owns significant stakes in both Kalashnikov Concern and Tula Cartridge Plant) and Russia’s largest bank Sberbank (one of Rostec’s major lenders) were hit with sanctions in 2014. In the letter, a copy of which can be read below, Wyden writes that Kalashnikov USA and Tulammo USA “appear to be closely linked” to two of the largest manufacturers of weapons and ammunition in Russia. 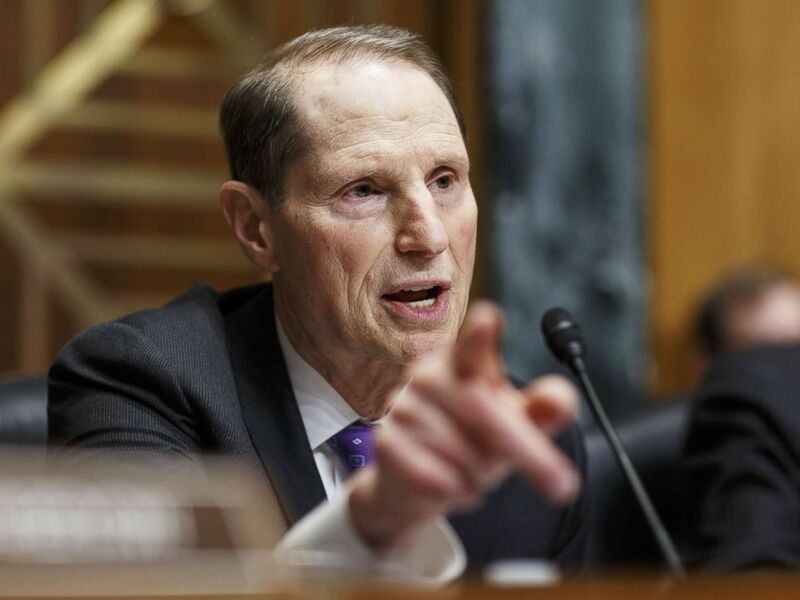 Wyden essentially asks whether a complex network of corporations and asset transfers has allowed the companies to evade business-crippling sanctions and preserve their access to the thriving U.S. gun market. 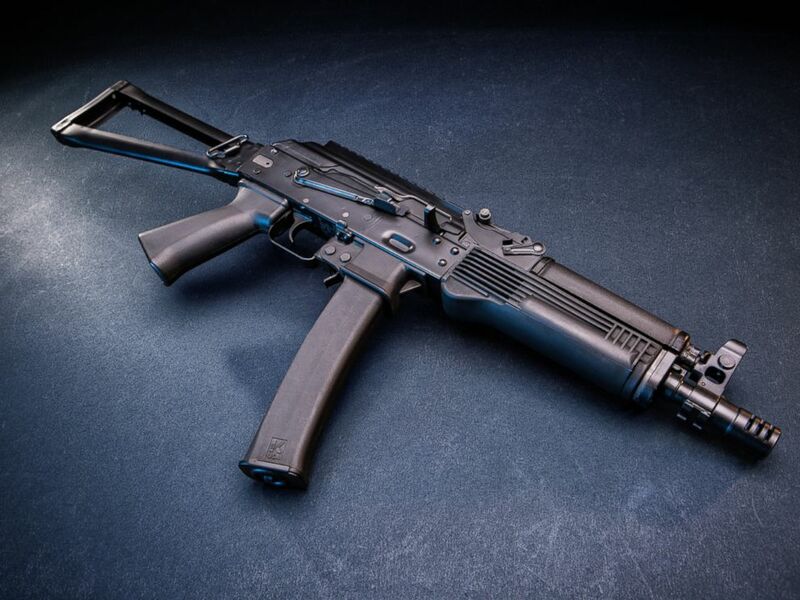 A US manufactured 9mm semi-automatic KR-9 SBR rifle is pictured from the Kalashnikov USA website. According to Bloomberg, Kalashnikov USA is a subsidiary of RWC Group, a U.S.-based company founded in 2011, which is managed by Michael Tiraturian, Kalashnikov USA’s senior vice president. Bloomberg reported that RWC – which stands for “Russian Weapons Company” – had a deal in place to be the sole U.S. distributor for Kalashnikov Concern, Russia’s largest firearms producer. That deal fell through when the company was sanctioned by the U.S. Treasury in 2014, but, Bloomberg reported, a subsequent shuffling of assets saw Alexey Krivoruchko, then the CEO of Kalishnikov Concern, make his longtime friend Tiraturian the manager of companies that controlled some of his valuable U.S.-based assets, raising questions about their relationship. Tiraturian has denied having a business relationship with Krivoruchko, telling Bloomberg “I have never bought anything from him; he has never bought anything from me.” Kalashnikov USA has said it has complied with the law and does not conduct any business with Kalashnikov Concern. 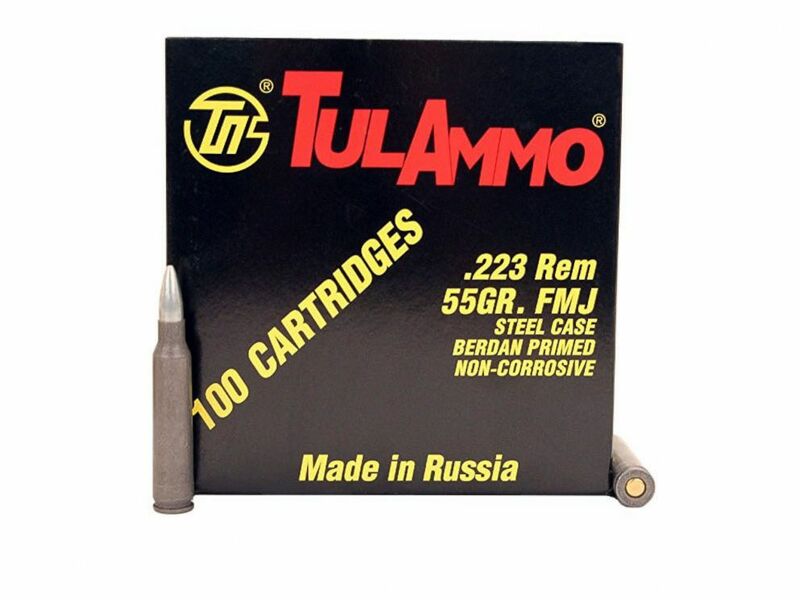 The Texas-based TulAmmo USA, meanwhile, once noted on its website, which appears to have since been taken down, that the company “represents the Tula Cartridge Works here in the US,” importing and selling steel-cased ammunition manufactured by a factory founded in 1880 by Emperor Alexander II. A Tul Ammo product photo. As first reported by ABC News, the extent of TulAmmo USA’s relationship with the Tula Cartridge Works appears to be closer than the typical buyer-supplier relationship. TulAmmo USA and TulAmmo, its Russian counterpart, which lists the same address at the Tula Cartridge Works, share a name, a logo and at least one former officer. Igor Rotenberg, an oligarch whose father has been friends with Putin since childhood, purchased 46.176 percent of the Tula Cartridge Works in February 2017, but reduced his share in the factory to 20.23 percent after he was targeted for sanctions by the U.S. Treasury earlier this year. A manager from the factory told Vedomosti, one of Russia’s leading business newspapers, the move was intended to allow the company to keep exporting ammunition. In an interview with ABC News, TulAmmo USA CEO Ed Grasso confirmed that the company is a distributor for the Tula Cartridge Works but described it as a “completely separate entity” with a legal business arrangement to buy ammunition exported by the Russian factory for sale to consumers. Grasso told ABC News that he was aware of the sanctions against Rostec and Rotenberg but insisted the company has done its due diligence and was confident they wouldn’t impact their business. According to Harrell, however, both companies could face grim prospects.